Michael McFadyen's Scuba Diving - SS President Coolidge - History The SS President Coolidge was one of two identical ships ordered by the Dollar Steamship Line on 26 October 1929 from the Newport News Shipbuilding and Dry Dock Company (NNS), Newport News, Virginia. The two ships were to be built for the sum of $7,050,000 each and were to be the largest passenger ships (in fact, the largest non-naval ships) to be built in the United States. The two new ships were designed by Carl Petersen of NNS and on 21 April 1930, the construction of the keel of Hull No 340 was started (order number 231,219). 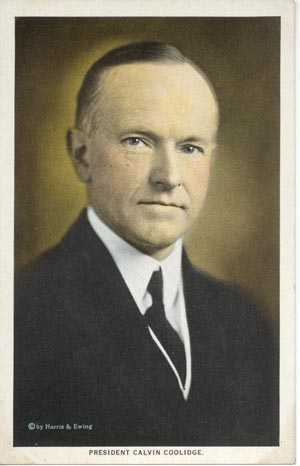 This was to be the SS President Coolidge. On the scale of passenger liners being built at that time in Europe, the Coolidge was not all that big. The ship was 654 feet 3 inches long, 81 feet wide, 34 feet deep and with a gross tonnage of 21,936 tons. Displacement was 30,924 tons and cargo capacity was 608,850 cubic feet. The Coolidge was powered by turbo-electric engines (more about this later) which turned twin props. A cruising speed of over 20 knots was possible and maximum speed of at least 22.2 knots. As well as a being a passenger liner (214 to 307 First Class, 133 Special Class, 170 Third Class, 380 Steerage Class - Total 990 maximum plus 324 crew giving 1,312 people), the Coolidge had seven cargo holds, one of which was refrigerated. This cargo space was 633,000 cubic feet, of which about 70,000 cubic feet was refrigerated. Included in this cargo space was room to carry 100 cars. The ship had three levels above the deck and five below. The Coolidge was powered by a turbine-electric propulsion setup manufactured by Westinghouse Electric and Manufacturing Company whereas the Hoover was powered by an almost identical unit made by General Electric Company. In the Coolidge, there were 12 Babcock and Wilcox high pressure boilers (giving a total heating surface of 57,624 square feet) which were heated by fuel oil. The steam produced had a pressure of 300 lbs per square inch and a final temperature of 620°F. The steam was sent to two 14,000 bhp turbines which each then turned a 10,200 kilowatt generator running at 2,660 revolutions per minute (rpm). These generators put out 4,000 volts of three phase electricity which was then sent to two 13,250 hp electric motors that each drove a prop through direct drive. At full speed, the motors turned the props at 133 rpm. Of interest is the fact that the photograph shown on page 209 of Peter Stone's book The Lady and the President (see references) is either not of the control room of the Coolidge or it was altered at some time. The control levers in the photo are certainly not the ones in the Coolidge when she sank. The ones in the photo have pull-up handles whereas those on the wreck have squeeze handles like those on old time train track levers. The ship carried 6,240 tons of fuel oil giving the ship a range of 19,500 nautical miles at crusing speed and 14,500 nautical miles at full speed. The ship also carried 2,320 tons of fresh water and 1,181 tons of coconut oil (these tanks could also carry fuel oil and are included in the fuel oil capacity given above). There were also four 500kw 240/120 volt auxiliary turbine-generator sets. These provided the power for lighting, room heaters, air conditioning etc throughout the vessel. There were 365 electric fans and 282 electric heaters throughout the ship. The total heater load was equal to more than half the output of one of the auxilary generators. The steering gear was manufactured by American Engineering Company and was powered by two 75hp motors. Power for the 24 winches came from 35hp waterproof motors. Of the 24 winches, 18 were Lidgerwood single-geared single-drum winches capable of lifting 3,000 lbs direct at 340 feet of rope per minute. These winches served the four cargo holds accessible from the deck and hold three which is accessible from the 'tween deck of hold two (hold four only has side entry). There were also two reversible Lidgerwood compound-geared single-drum winches serving the 30 ton boom of hold one. There were also four Lidgerwood double-geared single-drum winches on the 'tween deck hatches of hold three and on the forward deck two Hyde automobile capstans for loading cars through the side ports. The shelter deck at aft had three American Engineering Company electric capstans. On the boat deck there were six sets of Welin-McLachlan gravity type davits. These were for raising the lifeboats and were driven by 15.5 hp electric motors. There were also two larger boat winches of 25hp. The Coolidge had a refrigerated cargo space of approximately 70,000 cubic feet and cold storage rooms of about 20,000 cubic feet. Just more than a half of the cargo space is cooled by the circulation of refrigerated air. 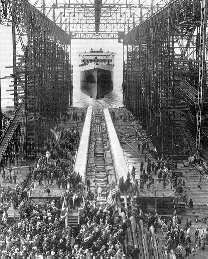 The SS President Coolidge was launched on Saturday 21 February 1931 by Mrs Grace Anna Coolidge (nee Goodhue), wife of (John) Calvin Coolidge (1872-1933), 30th president of the United States (1923-1929). At 11:29:45 am on that day, Mrs Coolidge smashed a bottle of water from her husband's Vermont farm (remember, this was during Prohibition when champagne was not available) over the bow of the new giant vessel. The hull of the unfinished ship slid down into the James River and was then moved to a spot adjacent to the SS President Hoover, her identical twin sistership. The Hoover had been launched on 9 December 1930 and was already well towards completion. As is usual in building ships, the hulls had been launched without the final touches being installed (furnishings and other fittings). A photograph taken shortly after shows the Coolidge with one funnel in place (with the distinctive $ sign on its side) next to the Hoover with both stacks in place. The ships were almost 100% identical, with the length, width, tonnage, cargo, passenger and layout exactly the same. The only differences were minor ones of furnishings and decorations (more about this soon) and the engines. 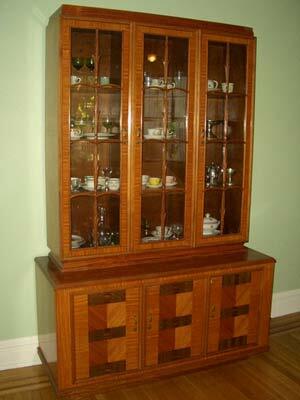 As indicated above, the only other difference between the two giants was the furnishings and fittings. Both ships had two outdoor swimming pools. One was a permanent one on Boat Deck behind the superstructure (for First Class of course) and the other a removable canvas structure that fitted as the hatch cover on Hold 6. This was for everyone else. There was also a gymnasium, a barber and beauty shop, a soda fountain, three dining rooms, two smoking rooms, two lounges (one doubling as a theatre with talking movies), three electric lifts, a library and writing room and even a darkroom for the ship's photographer. The entire ship was air conditioned (not all that common at that time). 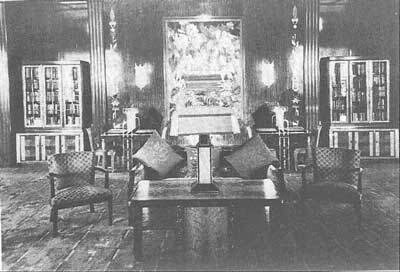 The interiors and furnishings (done by A. F. Martin Company of San Francisco) were quite good although not as luxurous as some of the European liners of the time. 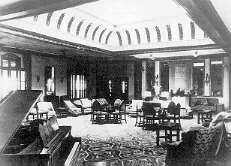 The most outstanding features of the furnishings was the mural of deep sea marine life in the Library and Writing Room, the ornate Grand Stairwell leading into the First Class Dining Room (with a large mural representing countries visited by Dollar Line ships), the Continental Lounge (First Class) which had a dome of 3000 pieces of glass and the First Class Smoking Room (see phot at left). This was probably the most impressive section of the ship's interior. At the bow end, there was a tapestry which depicted Rip Van Winkle, walnut armchairs, settees, game tables, green and vermilion rubber tiles (these are still there) and at the stern end, a verde antique marble fireplace, with an electric "fire" and topped by a decorative panel "of majolica set in a dull stainless steel frame with molded iron". 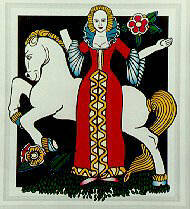 This was, of course, the "Lady and the Unicorn", seen in a painting below as it looks now (note the missing right hand of the Lady and the missing horn of the Unicorn). The murals on the ship (not sure if he did all of them) were done by New York artist Frank Bergman (1898-?). He also did the murals on the SS President Hoover. As was normal, the First Class passengers had the run of the upper levels of the ship, the Special and Third Class located lower down and towards the rear of the ship and the Steerage Class, located guess where, near the steering gear at the stern (obviously noisier due to the props, engines, steering gear) and rougher in heavy seas due to being furthest from the "centre of gravity" of the ship (movement on ships is worse at the bow and stern as these sections have to move most up and down when battling seas). 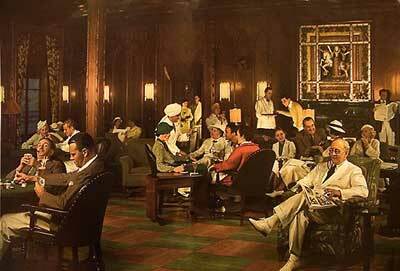 The cabins for these different classes of accommodation obviously varied greatly, even within the one class. For example, First Class had four suites with their own bath and toilet, 32 staterooms shared a bath between two rooms, single cabins with their own shower and toilet, twin cabins with private or shared shower and toilet. All these cabins did not have bunks and some rooms had settees. 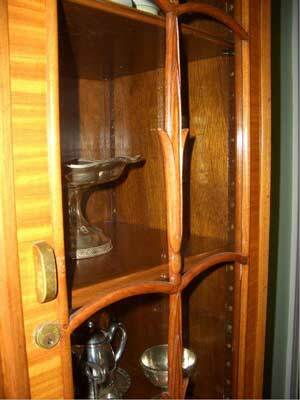 Each First Class cabin had a heater manufactured by Westinghouse, they were carpeted and were quite well appointed. The First Class accommodation was located on Boat Deck, Promenade Deck (only two single cabins - one was where the three rows of toilets are now located), A Deck, B Deck and C Deck. The First Class dining room was located on C Deck in the middle of the ship (there was also a private dining room located off the main room for small functions). The Special Class accommodation was located on B Deck just behind the First Class accommodation. These cabins were at times used as First Class accommodation when there were more people than available normal cabins. The cabins were for three people (23 staterooms) and four people (16 staterooms). The beds in these rooms were twin single beds with fold out Pullman berths (bunks) over one or both beds. They had shared bathrooms. The dining room was located on C Deck a bit further back towards the stern from the First Class room. The Third Class accommodation was at the stern on C Deck (and possibly B Deck). These cabins were capable of holding six or eight persons in fixed double bunks. The cabins had a toilet and shared a bathroom. They also had steam heaters. The dining room was located right at the stern on C Deck. The Steerage Class was located on D Deck at the stern and also doubled as cargo space depending on the need at the time. This consists of six large rooms with 60 berths. It is assumed that they used the Third Class Dining Room. Of interest is the fact that the baths (including a Japanese bath on C Deck in the Third Class area) used hot and cold salt water while the showers used fresh water. The SS President Coolidge was completed on 10 September 1931 and undertook her first sea trials on that date off the Virginia Capes. The following are the results of the "Standardisation Trials" of the SS President Hoover conducted on 18 June 1931. The Hoover was displacing 24,000 tons. No "Standardisation Trials" were done on the Coolidge. During her sea trials, the Hoover did a lot of tests on using varying combinations of power. They are summarised in the following table. and the figure I have placed in my table is more likely. During the trials the two ships did an eight hour economy trial (column three in the table above). The Coolidge had greater shp (27,089) and faster prop rpm (136.43) during these runs. As can be seen, the ships could run quite well on only six boilers and/or one generator. In addition, the ship could operate under normal conditions using only two of the auxilary generator units and under peak loads only three units were needed. This meant that one unit was always kept as a spare. The SS President Coolidge was delivered to the Dollar Steamship Line on 1 October 1931 (almost four months ahead of the contracted delivery date of 26 February 1932) and made her maiden voyage on 15 October 1931. Therefore it took less than 18 months from laying the keel to the maiden voyage, quite an achievement (fat chance of a ship of this size being built as quickly now). This trip was from New York to San Francisco (her home port) under the command of Captain Karl A. Ahlin. As she entered San Francisco Bay she was greeted by hundreds of small vessels and there was a public reception for Captain Ahlin and his senior officers at Pier 42.